There are plenty of options when it comes to producing software for customer service applications, including virtual ticketing arrangements. What makes the service at Brandon Cross stand out is the fact that the team here is capable of customising ticketing and customer service software such that it meets your organisation’s unique approach to its customers. By fully engaging in the way you do business from the outset, the customer service software we subsequently produce will fit your current arrangements completely. For example, we can design a system for you which fully integrates with any cloud-based customer relationship management (CRM) systems your staff may already be using. This could include any of the industry standard or proprietary interfaces that happen to be prevalent in your sector. Although you may have a clear idea of how a ticketed approach to customer service software will work for your organisation, we are happy to point out the additional benefits of choosing a bespoke system. This might include, for instance, the option to connect your customer service package with your existing channels – such as social media messaging or chatbot software, to name but two. Our programmers can produce single view multi-channel inboxes without breaking into your existing processes or disrupting them at all. This means that routing and service level alerting based on query analysis can be achieved without disrupting the customer service experience at all. It all goes on seamlessly in the background. Another good reason to consider Brandon Cross as a supplier is our ability to harness existing knowledge bases to accelerate agent productivity. This could feature automatically suggested responses, for example. Statistical analysis can then be deployed to measure the effectiveness of each response and to refine content accordingly so customer service continues to improve over time. 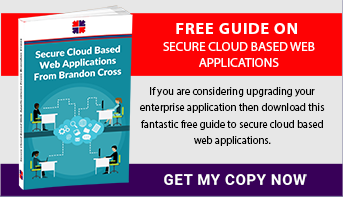 Our guide – Secure Cloud Based Web Applications – is a great starting point for understanding the options now available for ticketing and customer service programming. Download it for free today. Another option is to phone us and have an informal chat about your requirements. We will be delighted to talk you through your various needs.